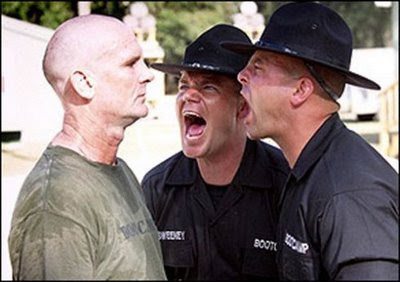 The Government has announced 40 places in controversial military-style boot camps will be available to deal with serious young offenders. The camps, to cost $5.3 million over four years, were one of a range of initiatives announced by Prime Minister John Key in Wellington today. The Fresh Start Offenders Package will cost a total of $59.1m over four years and will create almost 3000 places for youth in mentoring, community and residential programmes. The military-style camps will provide up to three months of residential training followed by up to nine months of support and mentoring. Mr Key acknowledged criticism of the camps received during the select committee process but said he made no apologies for supporting them. "Yes, they'll involve some marching exercises. Yes, they'll involve military facilities. I personally support that." This is as creepy as those Keith Quinn death insurance adverts, yes Optimist Prime, weapons training and better fitness is exactly what these 'time-bombs' need. Despite ALL the academic literature that clearly points out that military boot camps don’t work, this Government is keener on sending NZers into the Army than any modern Government. With Key’s desire to send NZ and create new joint forces with Australia and with double digit unemployment forecast, there’s never been a better time to start press ganging young people into the armed services. Is our Optimist Prime planning a future needing cannon fodder? What's the point in spending money on select committees if this government continues to ignore the outcome? It hasn't been stated clearly. Are these counted as imprisonment (on your criminal record) and therefore not a second chance but hard labour? If Baldcock...oops Baldock and co were running the camps (sounds fascisty dosn't it) at least the camp guards would be able to belt the little hu-ahs. Lets face it Leighton Smiths audience has finally seized control!